Many of your patients have atrial fibrillation (AFib) – some may be undiagnosed - and are at risk for blood clots, stroke and heart failure. 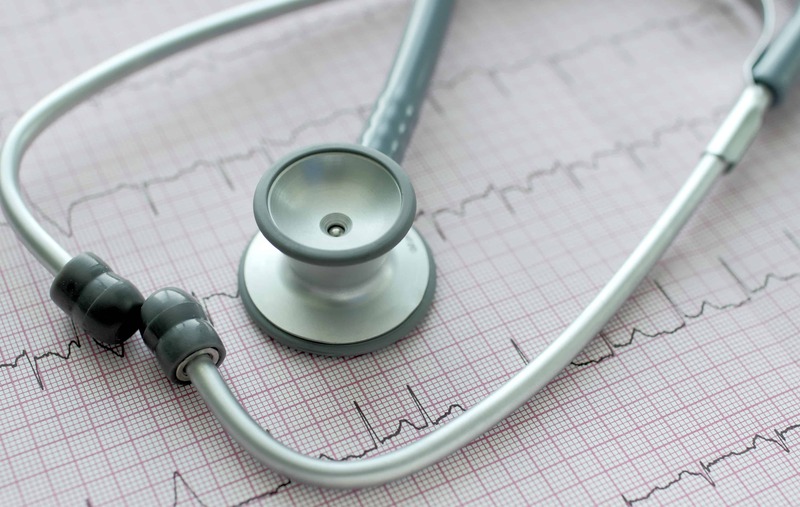 Learn more about AFib and how to help your patients reduce their risks. Designed to screen for undiagnosed atrial fibrillation in community settings such as senior centers. This digital toolkit includes checklists for planning a screening, sample waivers, data recording forms and educational fact sheets and power point presentations. The components may be personalized by a healthcare system, as desired. The screening tools may be utilized by regional PCNA chapters in their local communities, whether as a stand-alone screening or in tandem with other activities such as community health fairs. PCNA members may ‘check-out’ electronic blood pressure cuffs or smart phone compatible single channel ECG recorders to support their screening events. 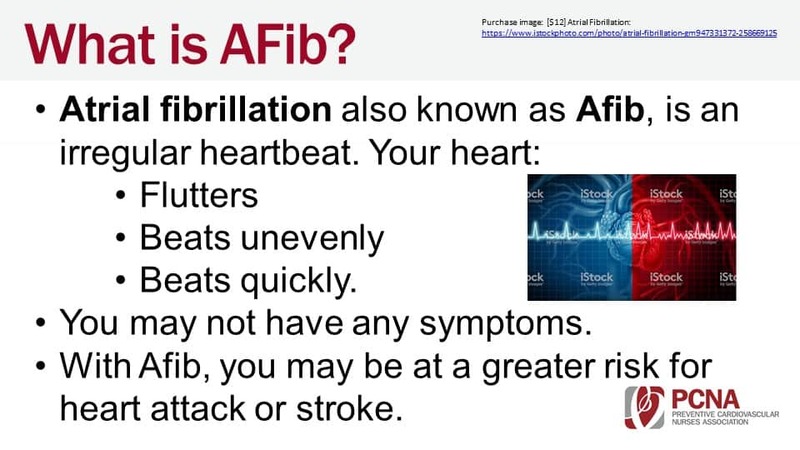 This 16-slide presentation covers the basics of atrial fibrillation (AFib), including risk factors, symptoms, and treatments. Funded through a grant from Bristol-Myers Squibb/Pfizer. 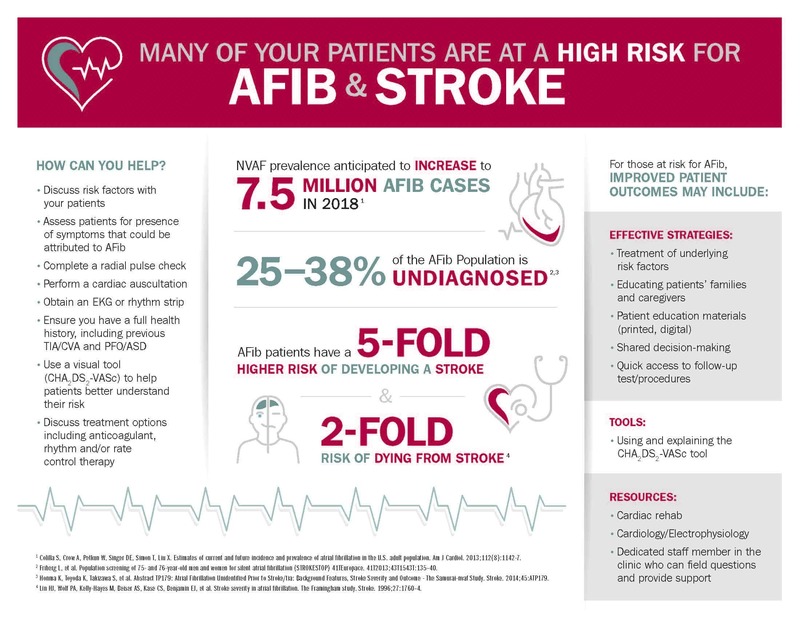 Designed by nurses for nurses, this tool helps engage patients in their AFib treatment, including how to reduce their risk of stroke.